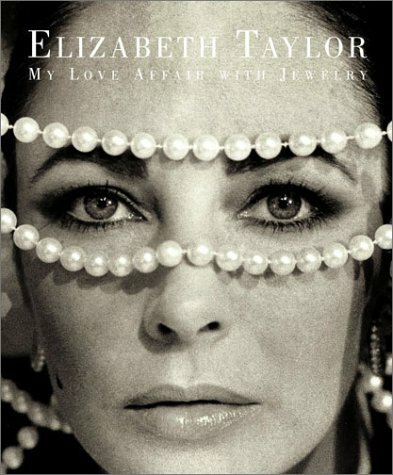 Elizabeth Taylor loved jewelry! 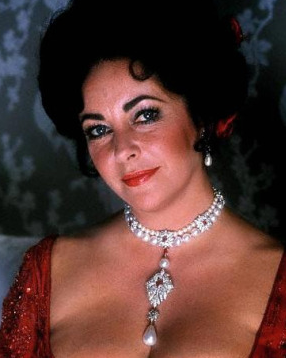 By the time she died, she had amassed $150 million with of jewels. Rumor has it that the auction house, Christie’s, will be in charge of auctioning her collection. She received many of her jewels from men and some from the greatest loves of her life. A couple of the highlights are the Krupp diamond weighing in at 33.19 carats and the Taylor-Burton diamond, a 69 carat, pear shaped stone, D color and internally flawless, seen below. Her third husband, Mike Todd, gave her a diamond tiara and a Cartier diamond and ruby suite consisting of a beautiful necklace, chandelier earrings and a matching bracelet. She also owned the Peregrina pearl, the world’s largest natural pear shaped pearl, once owned by Queen Mary Tudor of England. 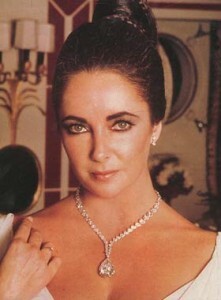 Throughout her life, she was known for many things, an actress, a great beauty and not least of all, a philanthropist. She not only collected jewelry, but she gave much of it away. She sold the Taylor-Burton stone and used the proceeds to help build a hospital in Botswana. It was said that when Taylor thought about her collection, she remarked, ”I was their protector and nobody could have enjoyed them or had more fun with them.” I beg to differ! This entry was posted in Design Inspiration, Featured, Heartbreakingly Beautiful, Mollie, Priceless, Rocks that Rock, Uncategorized and tagged diamonds, jewels, pearls, Stones. Bookmark the permalink. I wonder if it would be hard to get a seat at the auction…that would be an amazing experience!